It’s Friday!!! I know that Christmas is over but I wanted to start off the Fashionably Fridays part of this blog with something special: A Christmas fashion haul! I want to share the clothes and accessories I’ve been blessed with. I hope you all enjoy looking at them, and maybe get some inspiration for your own modest style. 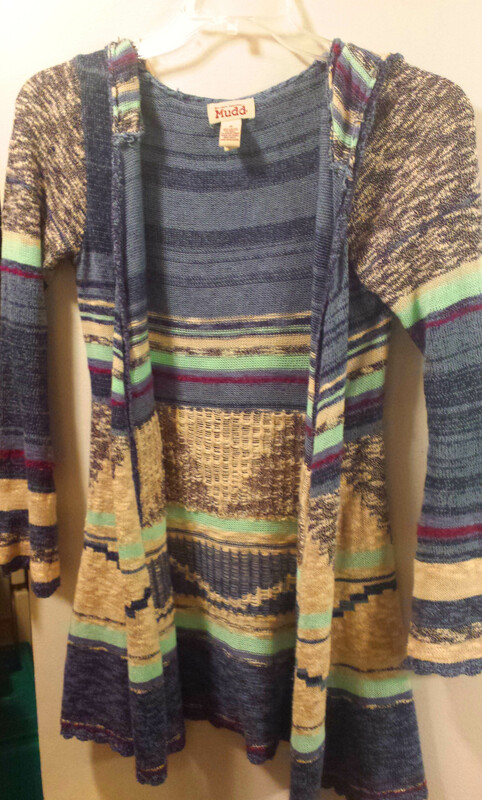 First off is this long cardigan from Kohl’s. It has an Aztec-like print and a hood. 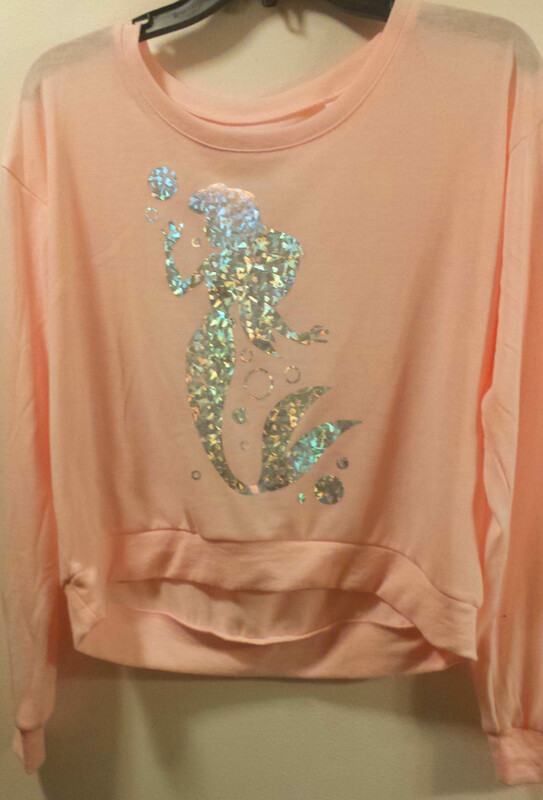 This Ariel pullover is also from Kohl’s. Isn’t it adorable? I’m obsessed with Ariel, and I will wear this with a grey or black tank underneath. 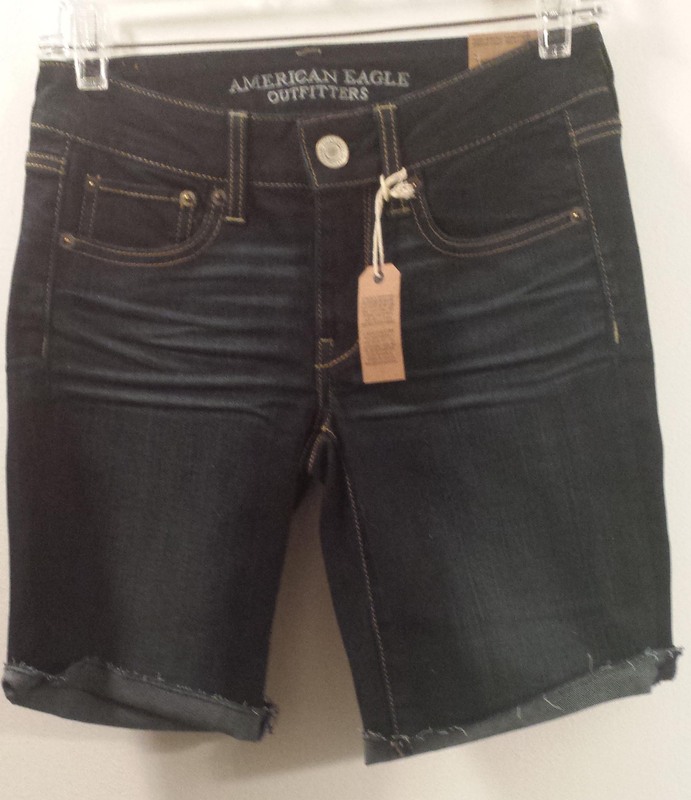 These shorts are from American Eagle. I know that it’s not summer yet, but they were on clearance for only $17! They’re really cute and good quality. They’re also not too short or too long. This sweater is also American Eagle, but was bought at T.J. Maxx. It is really nice and warm, but I have to wear a tank underneath. I also got another multi-colored one. 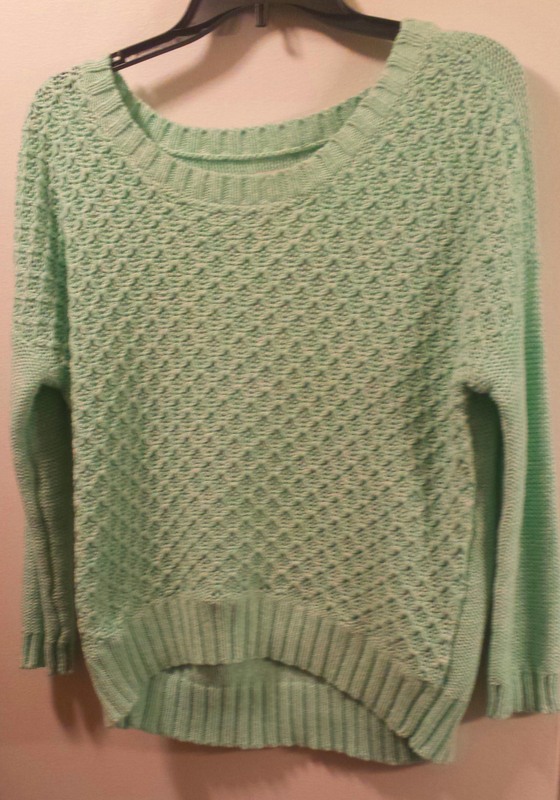 This sweater was from my mom, and it is light weight with a white lace trim on the bottom. 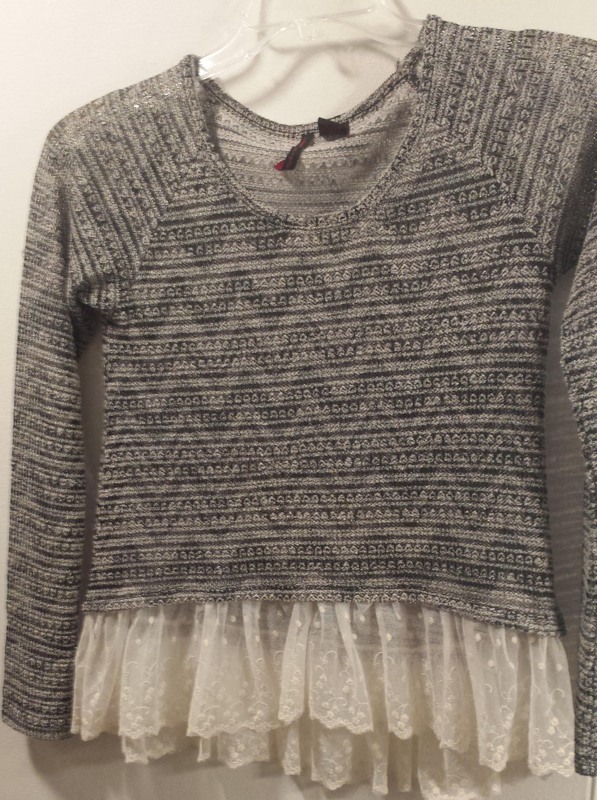 It is super cute and will transition to Spring nicely. These skirts were also from my mom, and will look great at church, on a date, or any other occasion. 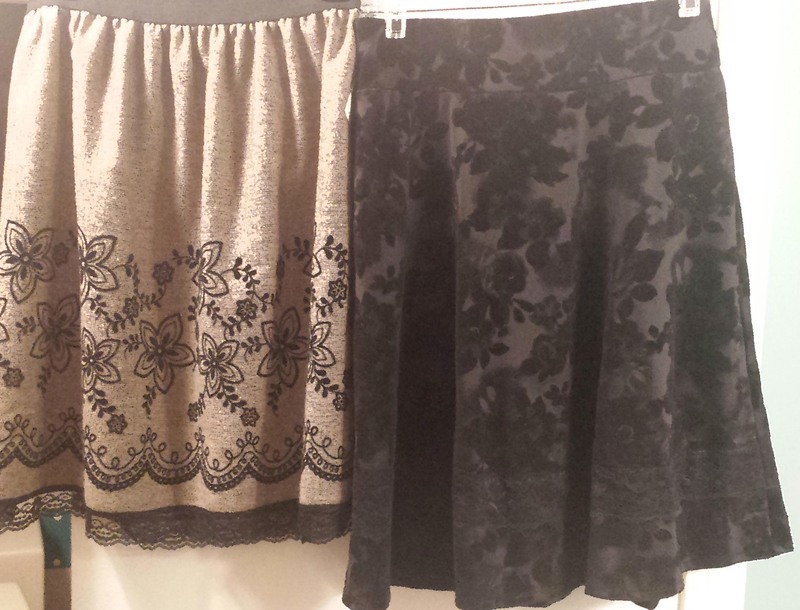 The black one has velvet flowers embossed on it, and the tan one has a black lace trim. They are knee length so they are appropriate for anything (the misses section at stores almost always has cute knee length skirts). And now for accessories! This scarf was from my cousin (who happened to be my secret Santa), and it goes well with everything because it has both beige and white neutrals. It’s an infinity scarf, and even though you can’t see it too well, it has sparkles on it. The owl purse is from my friend Paige. Too cute for words! Speaking of animal purses (which I am totally loving), my mom got me this adorable Betsey Johnson cat purse. It’s very unique, and is almost like a clutch– with a lot more room. I also won this leopard print scarf from a gift game at my boyfriend’s house. I’m really starting to like leopard print now…but only in small amounts. So that’s it! I am very thankful for all of my gifts this year. I hope all of my lovely readers had an awesome Christmas. And I have to ask– What was your favorite gift that you got this year? Please comment below! Love the skirts, all the skirts in the UK seem to be ultra mini at the moment so hard to find something nice. The bags are adorbs to! May have to start saving for our trip to America in the summer. Hey Em! I have the skirt that is tan and black w lace trim, bought it to wear on Christmas. Doesn’t really coordinate with my hot pink cast right now! Lol love your blog, love your outfits! Oh wow we match! I think you could pull that look off 😉 Thanks Auntie, I love you too.